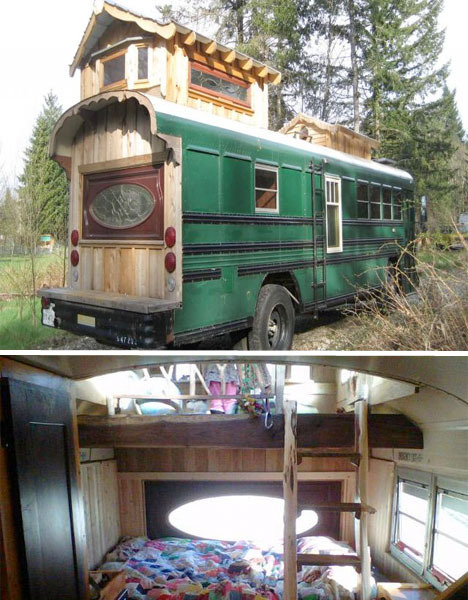 A family concerned with disaster prepping designed their very own ‘bug out bus’ as a totally mobile, stocked home that could enable them to flee from life-threatening situations – or just go on vacation. Called ‘The Ark,’ it’s nearly forty feet long, is built like a tank, and has underbelly storage. A master bedroom and a kids’ bedroom with bunks gives them plenty of space for everyone. 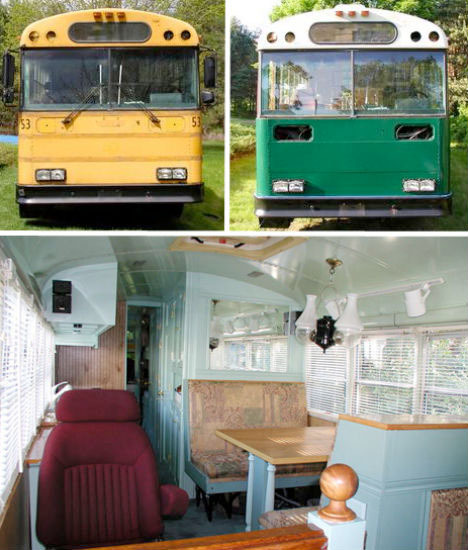 A cedar-paneled loft finishes off this quirky converted Dallas City 72-passenger school bus. It’s got a front extension with greenhouse roofing to bring in natural light, a large opening decorative glass window, white oak hardwood flooring. The 280-square-foot mobile home has been offered for sale on Tiny House Listings for $15,000. 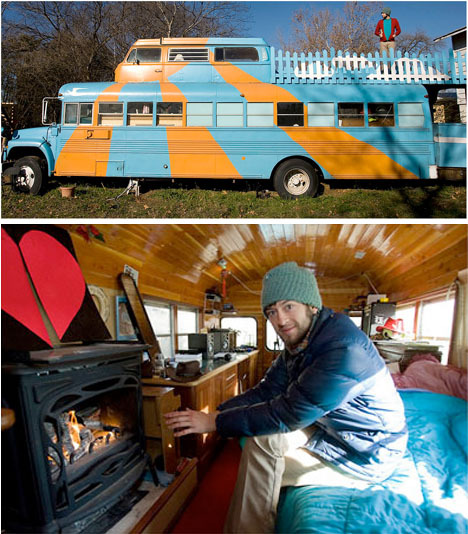 After college graduation, Dave Weaver and a friend retrofitted an old school bus and drove it from Washington state to Austin, Texas. 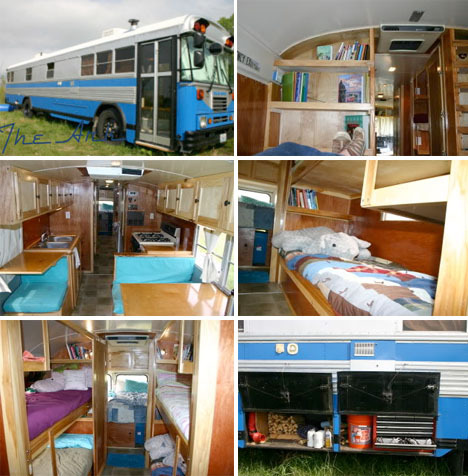 The 1979 Bluebird International runs on recycled veggie oil, sleeps six, has a hot-water shower, a wood stove and floor-to-ceiling wood paneling.